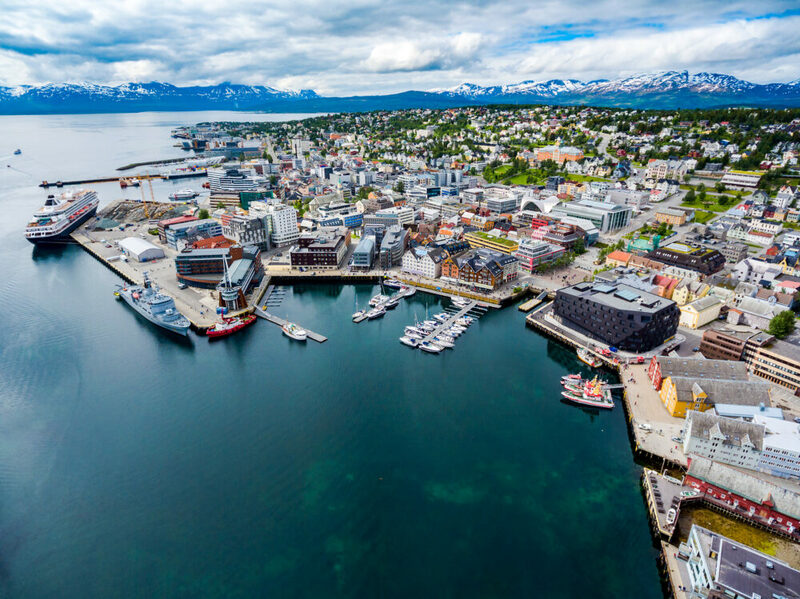 Tromso Norway is quickly becoming a popular destination in Scandinavia. This city in far northern Norway attracts tourists in every season, from the Northern Lights of winter to the midnight sun of summer. It’s a unique destination, at 217 miles north of the Arctic Circle, yet a relatively mild climate thanks to the Gulf Stream coming off the ocean. 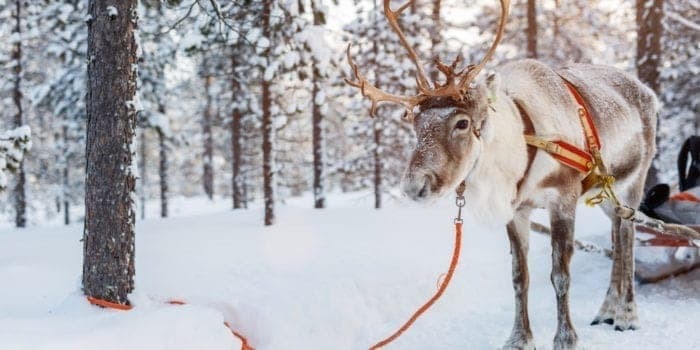 While Tromso city has a lot to offer in terms of culture and cuisine, the real draw of this region are the outdoor activities, like dog sledding and cross country skiing. 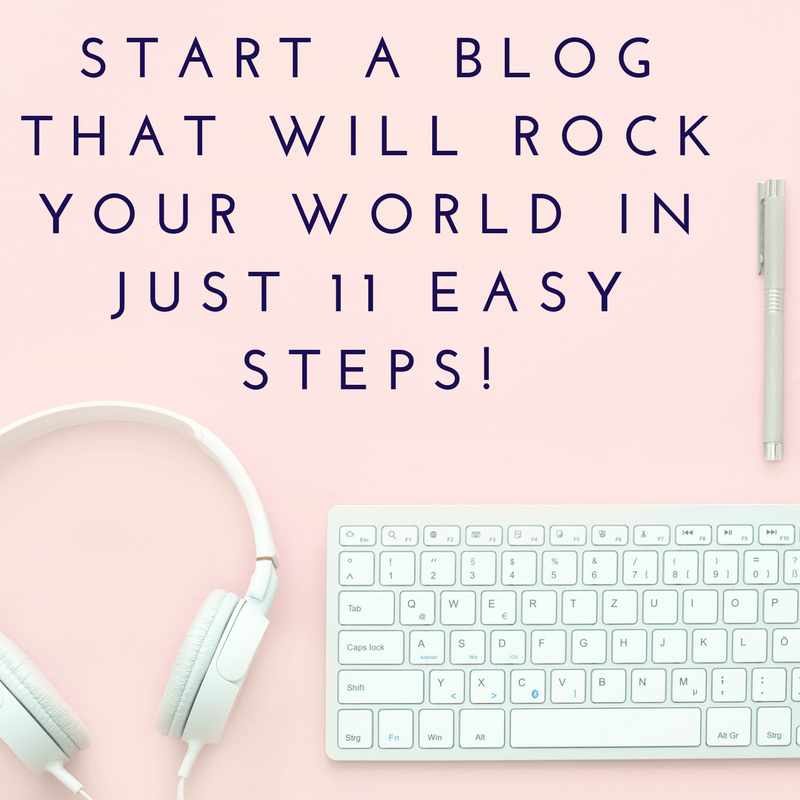 In this article, we break out some of the cool places to stay in Norway, and where to find the best place to stay in Tromso. 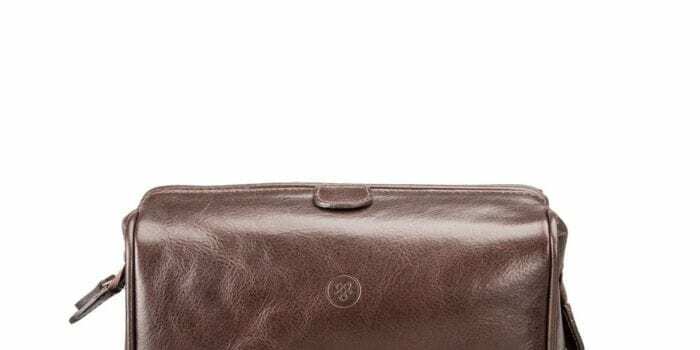 Once you’ve decided where to stay in Tromso, we also provide options for Tromso accommodation, including budget friendly and family friendly hotels in Tromso Norway. 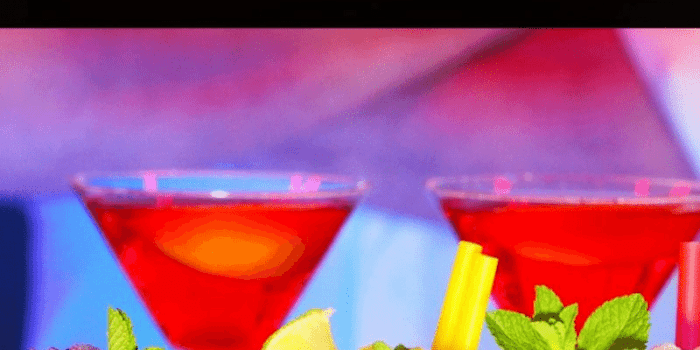 We will cover off all types of Tromso accommodation options from Hostels to luxury Tromso hotels as well as how to decide where to stay in Tromso, the best Tromso hotels, best places in Tromso to visit, the best places to stay in Tromso, hotels near Tromso attractions, Tromso neighborhood guide and many more. 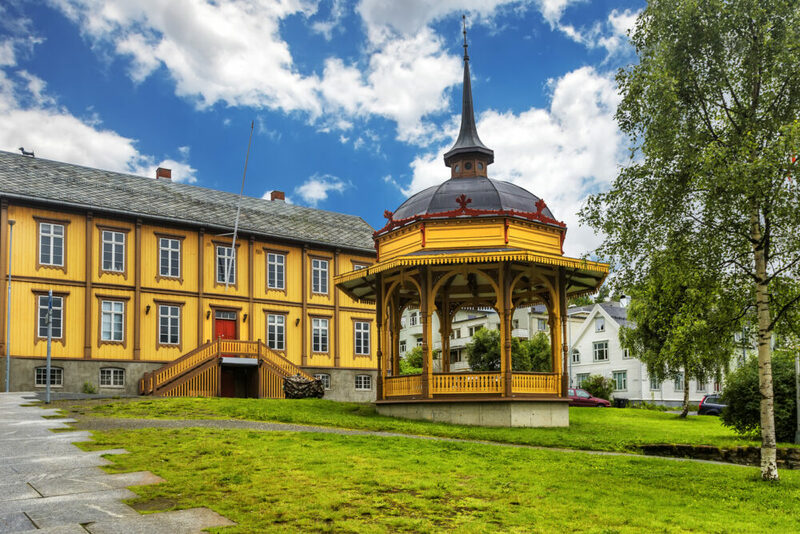 Tromsoya is the main island of Tromso, which comprises the city center, and many of the urban attractions of Tromso. 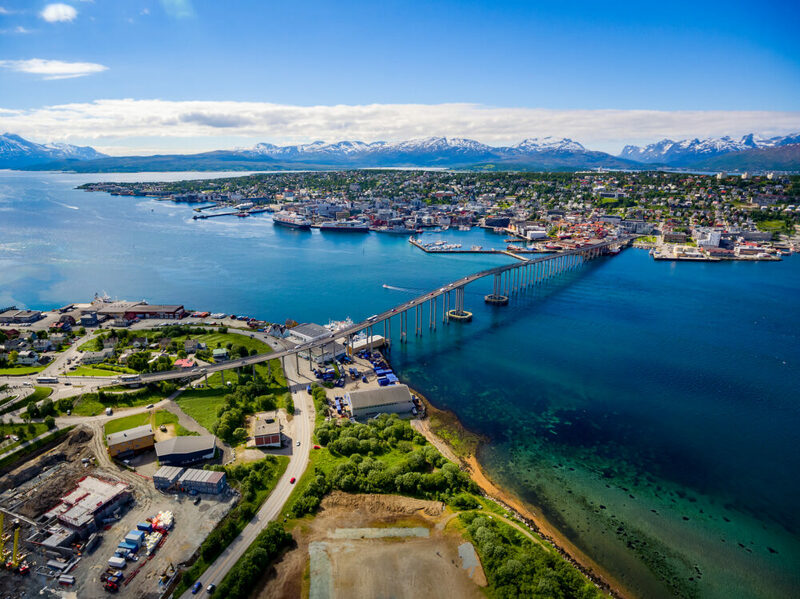 This is the best area for tourists visiting Tromso for the first time, as the location is central with a wide variety of Tromso accommodation options. 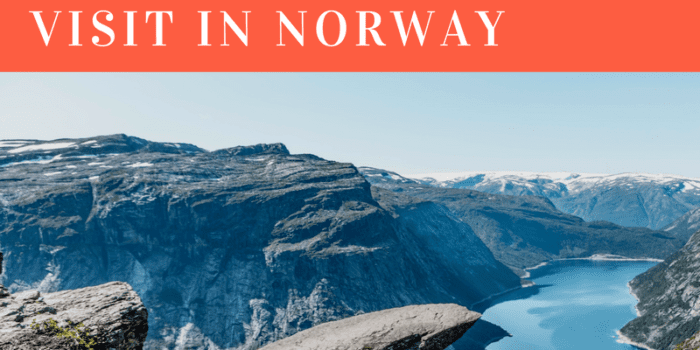 If you are looking for cheap hotels in Tromso Norway, well it’s all relative, but you can find budget friendly options in this area. If you are seeking a Tromso hostel, this is where you will most likely stay. The island of Tromsoya is further broken down into a few key areas covered: the city centre, and the harbor area. Another spot on Tromsoya with a large selection of Tromso accommodation is the area near the harbor. 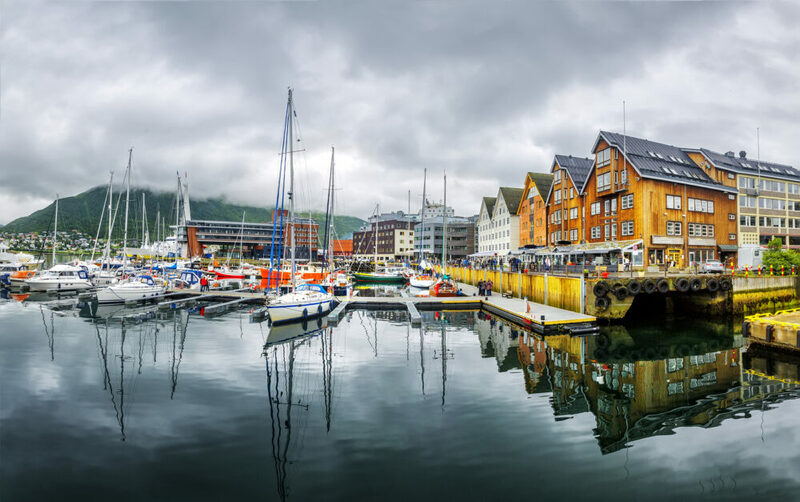 Some of the best hotels in Norway are found in Tromso’s harbor area, with amazing views of the waterfront, the Arctic cathedral and the mountains around Tromso. 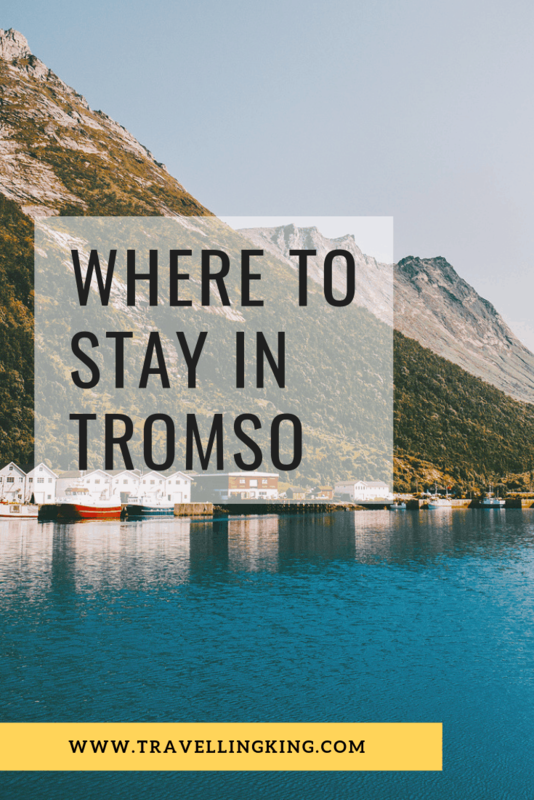 The hotels here are a bit more expensive than in the downtown area, but if you are looking to splurge on a great location, then this is the best area to stay in Tromso. Of course, the cruise ships come in to the harbor, so it can be crowded, but expect the tourist infrastructure here to be the most developed. There’s even a Marcus Samuelsson restaurant here! A smaller subsection of Tromsoya, where you can find several options for accommodation in Tromso is the downtown area. Many hotels are in walking distance of Storgata, which is the pedestrian street running through the city center of Tromso. Storgata is lined with shopping and dining options, making downtown Tromso the best area for tourists. 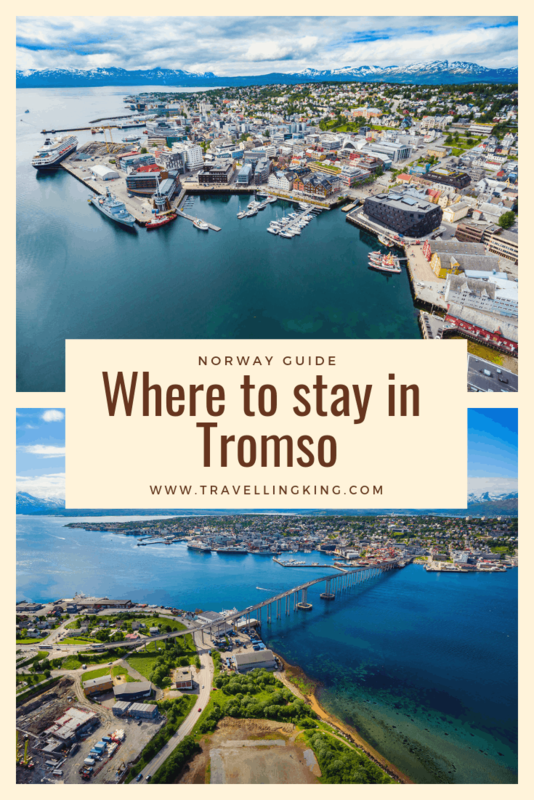 Many day trips and tours will depart from downtown, so this is a good central spot to stay, even if you don’t plan to spend much time in Tromso. Across from the harbor is the mainland area of Tromsdalen. 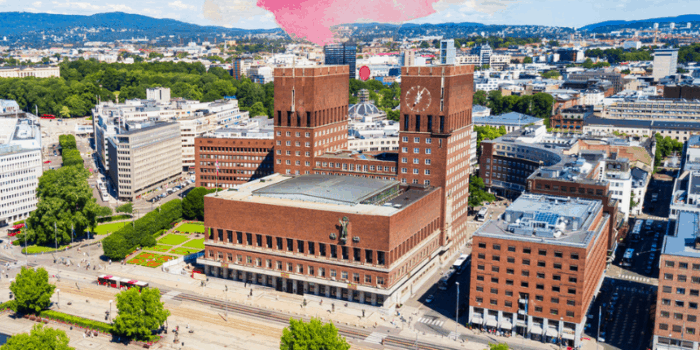 There are a few accommodation options in this area, and you are still within walking distance of the city center, should you wish to stay across the water, but walk over the bridge to eat or sightsee. Even if you don’t stay in Tromsdalen, you will definitely stop by, as this is where the famous Arctic cathedral is located. Not only is this the northernmost cathedral in the world, but the architecture is truly stunning. Most of Tromso Norway’s attractions are of the outdoor adventure variety, but the Arctic cathedral is one exception. 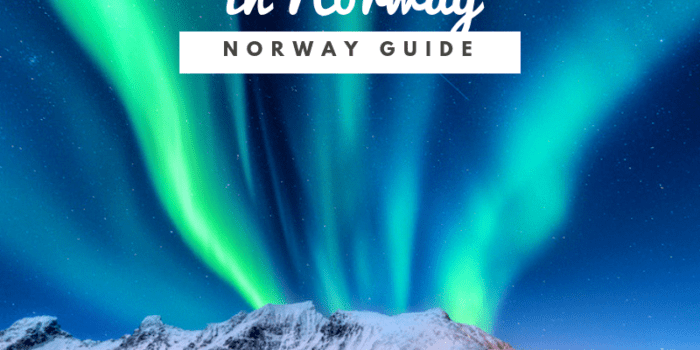 From Tromsdalen, you can also take the cable car up the nearby mountain, or visit the Tromso Alpine Center for a day of skiing. Perhaps you are seeking more remote accommodation in Tromso? 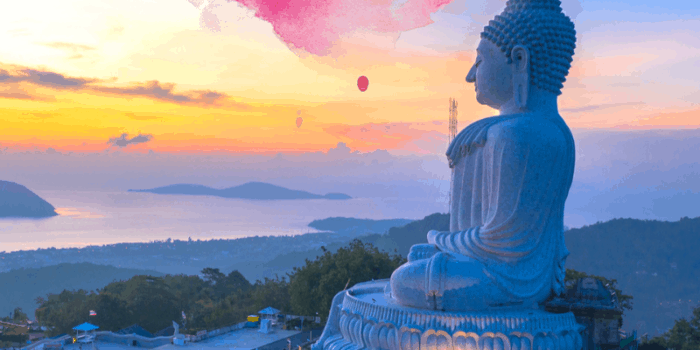 Kvaloya, or Whale Island, may be just what you are looking for. Just a few minutes from Tromsoya by bridge, Kvaloya is where many of the tours and activities from Tromso take place, including the dog sledding tours. 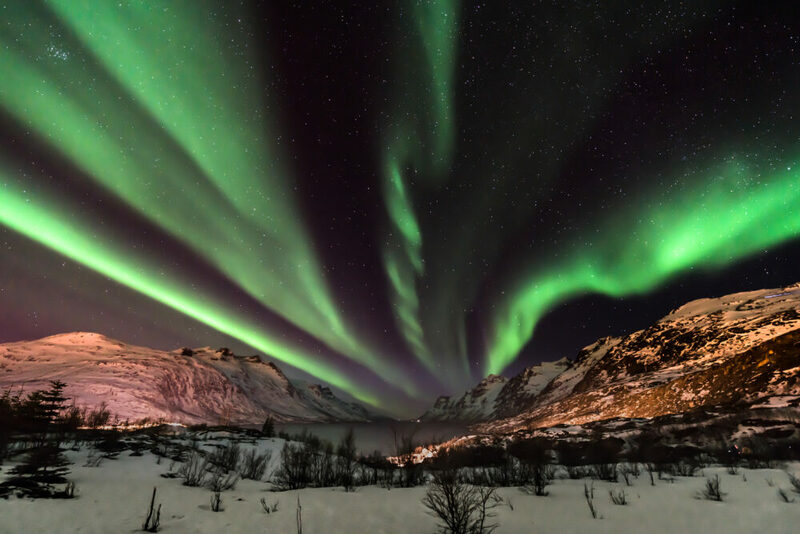 If you want to know where to stay in Tromso for Northern Lights, Kvaloya is a great option! 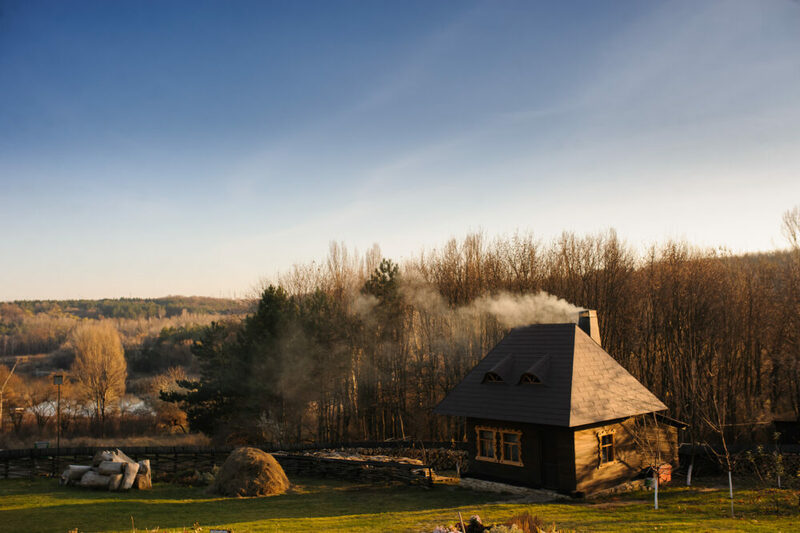 If you are looking for a mountain lodge, check this area it has some of the best mountains of this region. There are various spots around the island where you can stay, including Ersfjordbotn, a small village at the north end of the island. One island past Kvaloya is Sommaroy, or Summer Island. 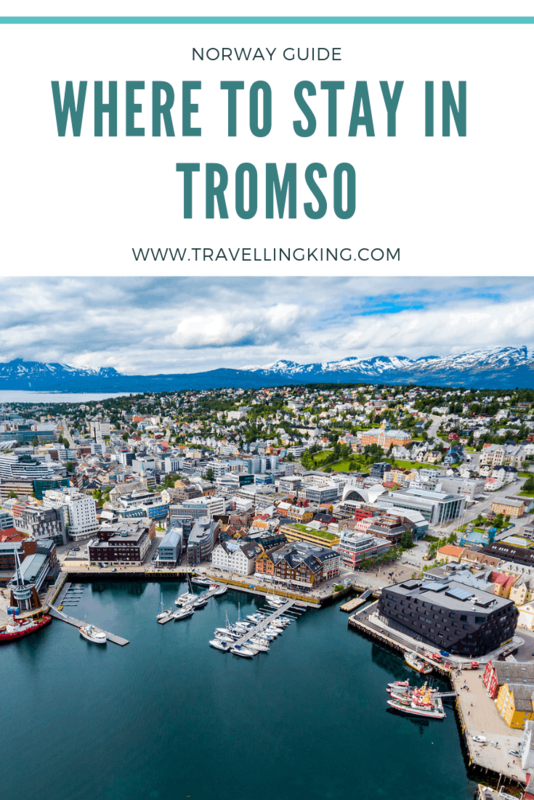 It’s named this because it’s the warmest area around Tromso, and it has beaches where locals go to picnic in the summer. It is one hour from Tromso, making it even more remote than Kvaloya. There are fewer accommodation options here, but better chances of seeing the Northern Lights. If you would like to be relatively close to Tromso, but in a remote setting, then Sommaroy is perfect. 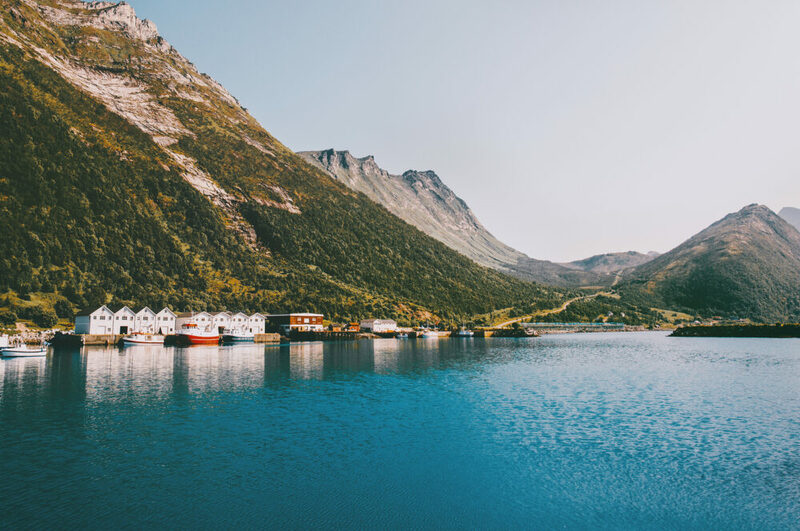 Malangen is where you can find one of the coolest hotels in Norway; it’s a resort area about 70 kilometres from Tromso. They have hotel rooms, ocean view apartments and even Tromso log cabins for rental. This former town was dissolved in the 1960’s and all that remains is the resort, wrapped in wilderness. The remote location and lack of nearby developments make this the perfect place for viewing the Northern Lights. Another destination above the Arctic Circle in Norway is Senja Island. 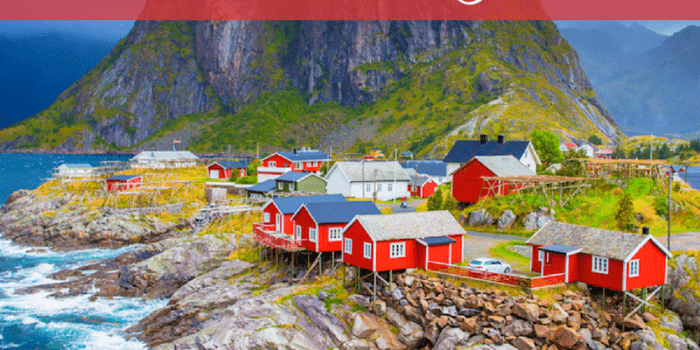 It’s about 180 kilometres by car from Tromso, but there is an express boat that takes just 75 minutes from Tromso, passing the famous Lofoten Islands along the way. Senja is the location of one of Norway’s most scenic drives. 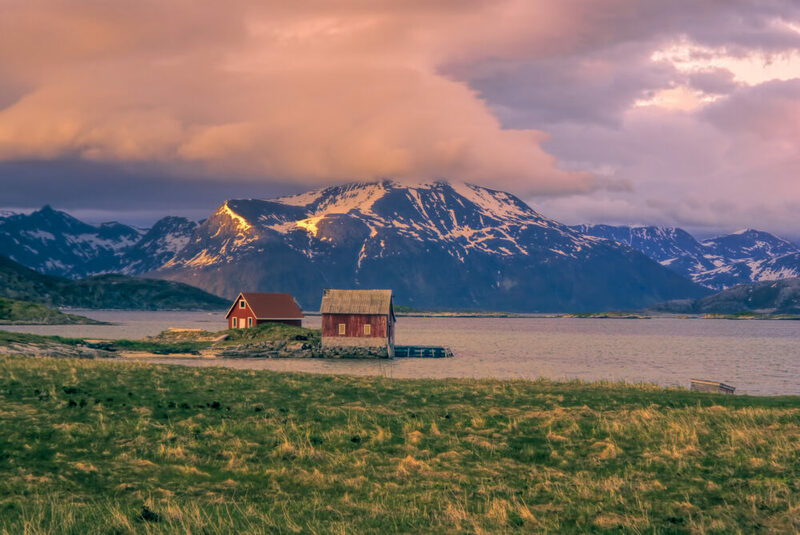 While more sparsely populated than the area near Tromso, outdoor adventure travelers will love all the things to do on Senja Island.